This unique handbook provides total coverage of issues related to countersinking and chamfering holes, including history of their use, design reasons, and basic cutter design. 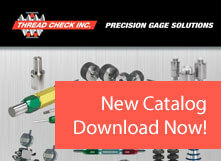 It features "how&dash;to&dash;use" details of the most used tools and techniques and complete information on the subject of countersinking holes of any size, including those over 10 inches in diameter. Its detailed approach to illustrating over 100 different tools designs is unparalleled in technical literature and is sure to be found useful by manufacturing engineers, shop foremen, and experienced users.